China’s top e-commerce website Alibaba raked in over $25 billion or RMB 168.2 billion in sales on its signature Singles Day. Alibaba’s Singles Day event has single-handedly generated double the sales than those of Black Friday and Cyber Monday in the US combined. The annual event saw a 39 percent increase compared to last year. “More than US$25 billion of GMV in one day is not just a sales figure. 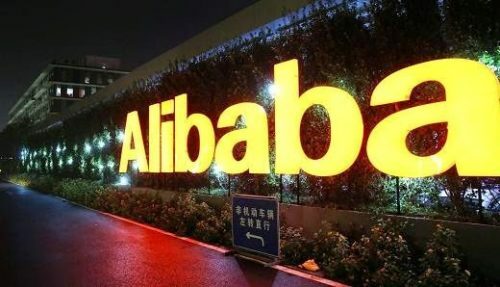 It represents the aspiration for quality consumption of the Chinese consumer, and it reflects how merchants and consumers alike have now fully embraced the integration of online and offline retail,” said Daniel Zhang, Chief Executive Officer of Alibaba Group. Additionally, the retailer hit a record $18 billion in just 13 hours on Saturday, eclipsing last year’s record of $17.8 billion in 24 hours. Market research experts say the massive growth is attributed to retailers competing for a share of consumer spending in China’s growing economy. In comparison, US sales between Thanksgiving until Cyber Monday accounted for $12.8 billion in 2016. The company noted that more than 1,40,000 brands and merchants participated in the global shopping event. Alipay processed 1.48 billion total payment transactions, up 41 percent from 2016, and processed 256,000 transactions per second at peak. Alibaba Cloud processed 325,000 orders per second at peak. Cainiao Network processed 812 million total delivery orders. The first delivery arrived 12 minutes and 18 seconds after midnight. To pump up the sales, the Chinese company also hosted a star-studded gala with film star Nicole Kidman, American rapper Pharrell Williams, and Maria Sharapova in attendance. Chief Executive Officer Daniel Zhang said the company wants to make the event more global and is planning to take its gala overseas soon, without giving a time frame.